Go Bleach to Bare with Jolen. I know what you may be thinking, “Bleaching my facial hair? I don’t do that because I don’t need to.” Truth be told, if you are actually lucky enough not to have body hair and you’re not like the rest of us that do have facial hair–then you ARE lucky. But, for a lot of us the reality is that we have unwanted facial and body hair. But, for a lot of us the reality is that we have unwanted facial hair; actually I’ve noticed the older I’ve gotten, the more I’ve noticed it. Insert sad panda face, but really, it’s not that big of a deal. We have options, ladies! The iconic cream bleach brand passed down through generations to minimize the appearance of unwanted facial and body hair, now gives you the option to completely remove unwanted facial hair with its new Jolen Facial Hair Remover Kit. Being a kid in the late 80’s and 90’s, for a long time I thought cream bleach was honestly the only method to minimize body hair. In fact, I used to see my Mom and her friends doing it and thought: “When I grow up, I’m going to bleach my hair too.” One thing is for sure, hair removal and bleaching shouldn’t be taboo. Funny thing is that now, I am trying it for the first time. While there are other methods like waxing, shaving, laser or threading, this is the method that I prefer because it’s minimal. I worry that with other methods it may grow back with a vengeance and it can get pricey. This is a great fix for my busy lifestyle that lasts! But, first–you have to prep your skin! Get Rid of Dry Skin. Dry skin can definitely put a damper on your lovely summer skin. Use a body scrub to get rid of the dead skin cells and use a sugar scrub on your face to leave your face silky smooth. Wait a day or two before you use Jolen or do any type of hair removal. Get your favorite body and face lotion and let your skin soak it up. If it has SPF in it, even better. That way, you are protecting your precious skin from the harmful rays of the sun. Double benefit, right? Get Rid of The Winter Coat. That made me chuckle. If you’re like me and tend to not remove hair everyday during the winter. Well, girl, now it’s time. 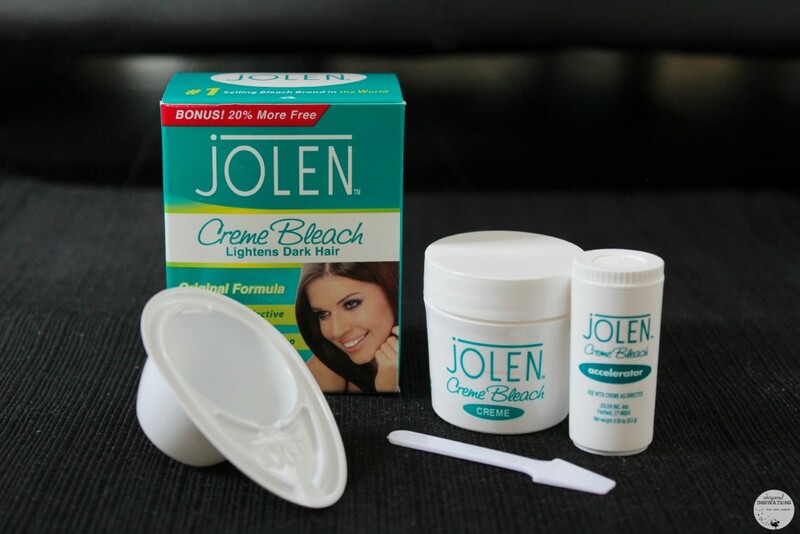 Use Jolen Facial Hair Removal Kit for your face or you can use Jolen Creme Bleach for your upper lip too. Be sure to follow your normal hair removal routine for the rest of your body! We all know that too much sun exposure isn’t good for your skin. But, with your skin being the largest organ of your body, you need to take care of it. But, we want a tan. Well, the next best thing to make your newly smooth skin radiant is a self-tanner! Don’t forget to slather on the sunscreen when you do go out. Make sure to drink plenty of water and nosh on fruits and veggies to get that skin looking great! Getting a little exercise can do wonders too. It’ll give you that glow! Jolen Creme Bleach, the #1-selling bleach brand in the world, is celebrating 50 years in the beauty aisle. It was the first cream bleach available to women to help lighten noticeable hair easily and gently, making it virtually invisible. It only takes 10 minutes for results that last up to four weeks. If you’re low maintenance like me, this makes you very, very happy. Yup, that is me without any make-up on using Jolen Creme Bleach Sensitive Formula with Aloe Vera. How’s that for a no-make up selfie? It lightens dark hair and it is great for sensitive skin. Which I do have and it was super simple to use. Mix it, spread it and wait 10 minutes. The results were great, and they sure did lighten my hair, making my hairy situation no more. If you are used to bleaching, you know that familiar sensation. Other than that, it was easy peasy! Want to Remove It All? If bleaching isn’t your thing and you want it all gone. Try the Jolen Facial Hair Removal Kit. The new Jolen Facial Hair Remover Kit is a unique, three-step hair removal system that quickly, gently, and effectively removes unwanted hair on the upper lip, chin, and cheeks. It is Dermatologist tested and perfect for all hair types and delivers smooth, silky, hair-free skin. Not to mention, it works in just 8 minutes. The Skin Guarding Balm is used before hair removal to condition and protect skin, preventing irritation and redness. This balm can also be used after hair removal and cleansing to moisturize and smooth skin. The Hair Removal Cream quickly, gently and effectively removes unwanted hair on the upper lip, chin and cheeks. The Cleanse & Soothe Wipes wipe away cream and hair while soothing and conditioning the skin. These wipes eliminate the need to ruin washcloths or fuss with messy tissues or cotton balls. 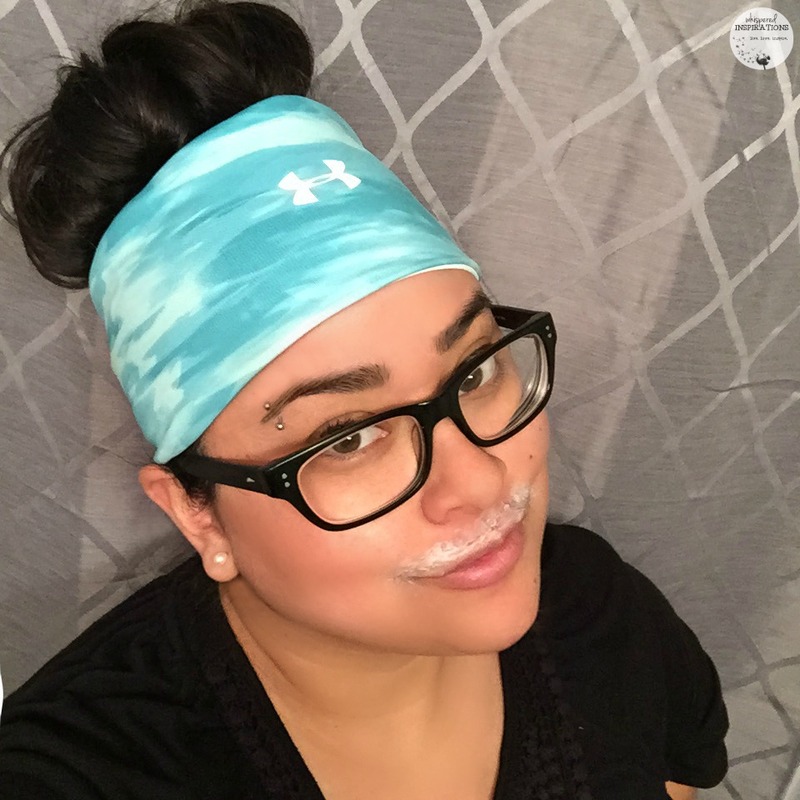 The new Jolen Facial Hair Remover Kit is available in select stores like ULTA and online at Walgreens.com and drugstore.com for the suggested retail price of $11.99. 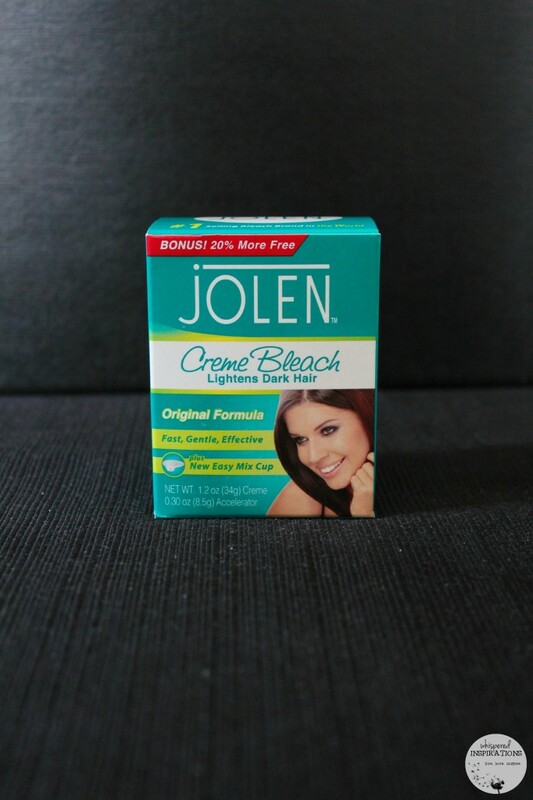 You can also find the Jolen Creme Bleach formulas there too. To find where you can buy Jolen, go here. Enter the Jolen Bleach to Bare Giveaway! More than 50 winners will have a chance to win ULTA Beauty gift cards, free Jolen products and other fun summer essentials. Contest ends May 8, 2015. 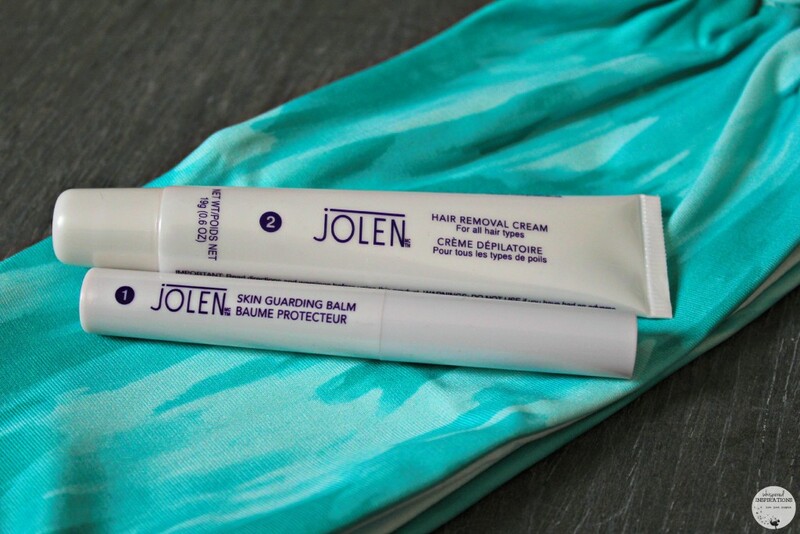 For more information, head on over to www.jolenbeauty.com or visit Jolen on Facebook, Instagram or Pinterest for the latest updates. I know that I am ready for Spring and Summer, are you? 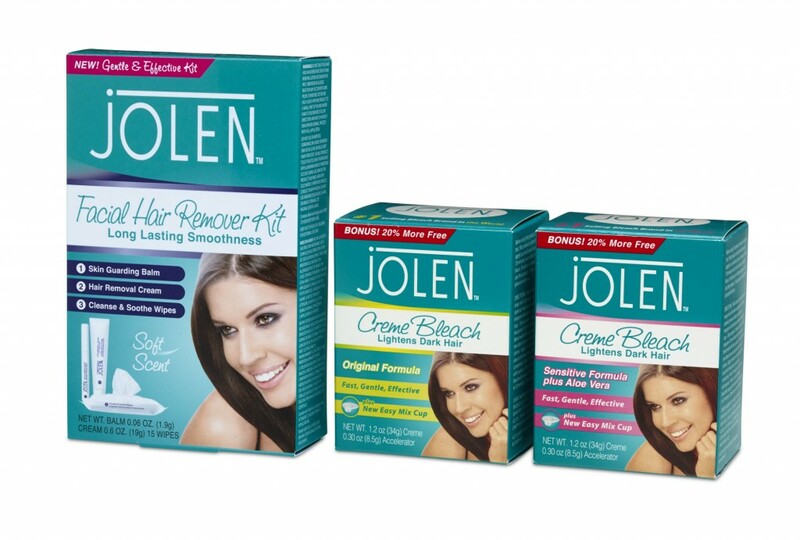 Which Jolen product would YOU prefer to use to manage noticeable hair? This is a sponsored, product-provided conversation written by me on behalf of Jolen. The opinions and text are all mine. Previous Post: « Get Creative with Crayola Colour Alive Books, Virtual Design & Drive and Virtual Fashion Show Books!